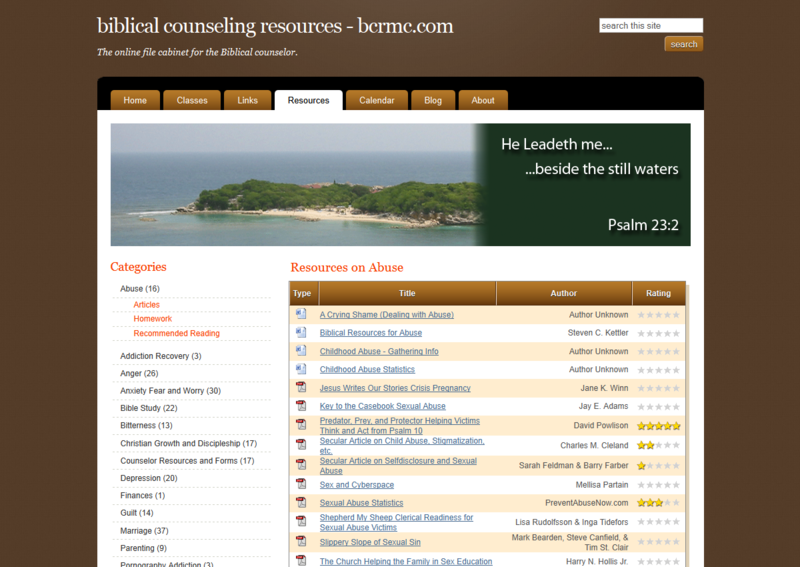 BiblicalCounselingResource.com was an inspiration of my degree in counseling. There was no place that I could go to find hundreds of useful resources at the tips of my fingers. So I built this website to do just that. 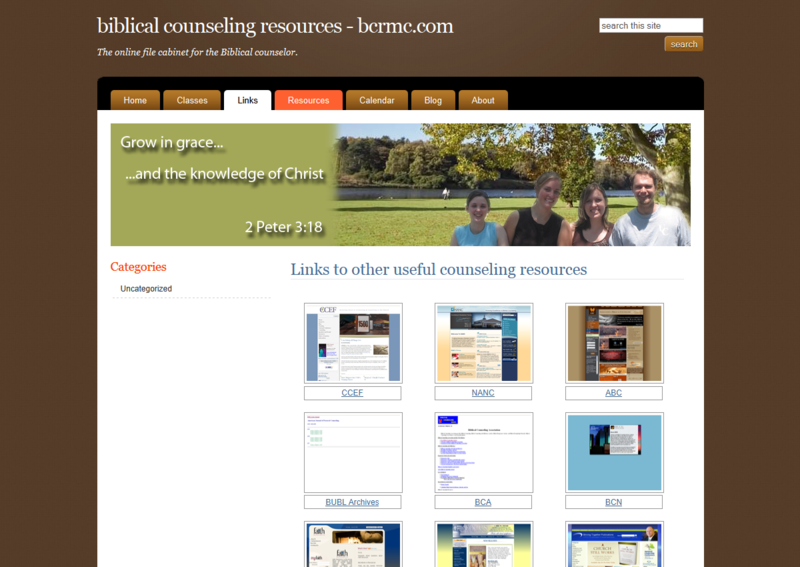 There are hundreds of resources on tens of topics, links to popular counseling sites and Christian growth sites, a calendar of events for popular Christianity, and even online courses on hot topics. 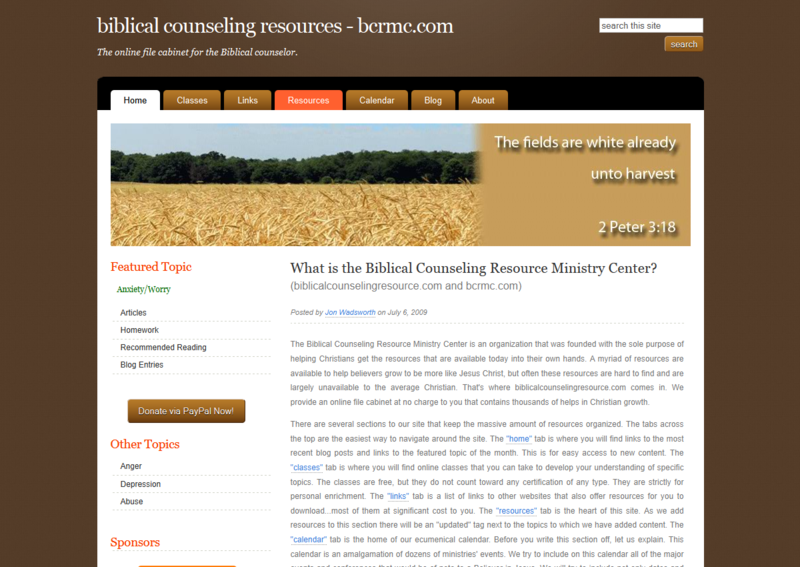 This website will continue to grow as more resources are added and a members section takes off.